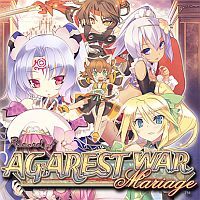 Record of Agarest War: Mariage is a representative of the jRPG genre. The player's task is to defeat a mighty demon. For this purpose, he takes on the role of two generations of heroes. Idea Factory studio is responsible for porting the game from PSP console to PC. Record of Agarest War: Mariage is a remaster from a PSP console, produced by Idea Factory studio. It belongs to the jRPG genre with turn-based combat. The player takes on the role of two generations of heroes whose task is to defeat the archdemon. In the Record of Agarest: War Mariage there is a strong cult of the Yiris myth, known as the Blessed Princess. She has been nourished by the Creator for love for man. Soon after these events, an archdemon appeared in the world. Yiris beloved swore to defeat a mighty creature with the mighty Ciel Blade. In most aspects of the Record of Agarest War: Mariage is not very different from the classic jRPG species. The player moves with the team, which may include representatives of four character classes. Each of them has different attributes and abilities. Additionally, it is possible to personalize its members. You can find outfits for this purpose, which can be found at the defeated enemies and at the local traders. What distinguishes the Record of Agarest War: Mariage is the fact that the plot has been broken down into two generations. When playing for the first time, you have to choose the partner with whom you want to have a child. An important role is played by the relations between the hero and his beloved. The strength of the relation is expressed by special points. Congregation of sufficient quantity will unblock new weapons and capabilities. Depending on the choice made, the story will turn out differently. The child will inherit traits from both parents. Record of Agarest War: Mariage offers refreshed compared to the original graphics. The whole is maintained manga style. The game takes place in 3D and the events are observed in the third person perspective.